Dean Gay - Abramson & Denenberg, P.C. Dean Gay is an associate attorney at our firm who concentrates in personal injury law and landlord-tenant disputes. If you've been injured in an accident involving an automobile, have suffered a slip and fall injury, were the victim of a dog bite, have been wrongly arrested and charged or have a problem tenant or landlord, call Dean today for legal consultation. 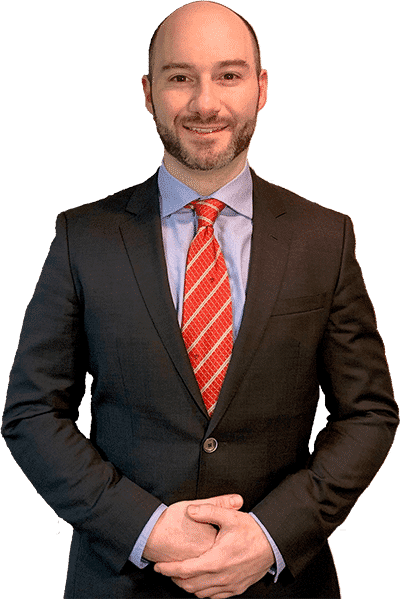 Dean takes great care to address his clients' legal needs through open communication, attention to detail and educating clients on the legal process as he guides them through it. When you first meet with Dean, expect a thorough and informative meeting where he will get to the heart of your legal issues by gathering all of the important facts and addressing any concerns and uncertainties you may have about your potential case. After your initial meeting with Dean, you will promptly hear from our firm whether or not your case has merit and if we will take it. If you are our client, Dean, along with all of the attorneys, paralegals and staff in our firm will handle your case with the utmost professionalism and will fight and advocate on your behalf from the very moment we take your case. Dean is passionate about helping people seek justice by making their voices heard and having their rights upheld. Dean received honorable distinction during his legal studies for work he performed pro bono for Philadelphia residents who could not afford legal representation. His passion for serving the people is what drives him and he will fight to get you the compensation you are entitled to for medical bills, pain and suffering, emotional distress, lost rent, lost wages, property damage, illegal eviction, humiliation and the other unexpected compensable woes people suddenly find themselves experiencing when faced with personal injuries and property disputes. Outside of law, Dean is a visual artist and writer, is actively involved in charitable work in the Philadelphia and surrounding regions and is on the Board of Directors and is one of the founders of The Keystone Gathering, a social group with a charitable focus.